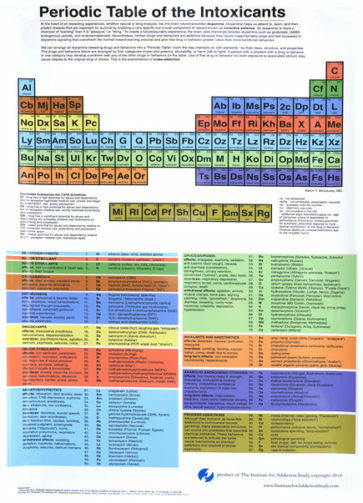 Presenting the Institute For Addiction Study’s newest product, “Periodic Table of the Intoxicants.” First introduced in our award-winning DVD “Pleasure Unwoven,” this easy to understand chart lists all the known chemicals and behaviors that cause addiction. Created by Kevin McCauley, the design mirrors that of the traditional periodic table of elements with addictive substances grouped according to their classification. 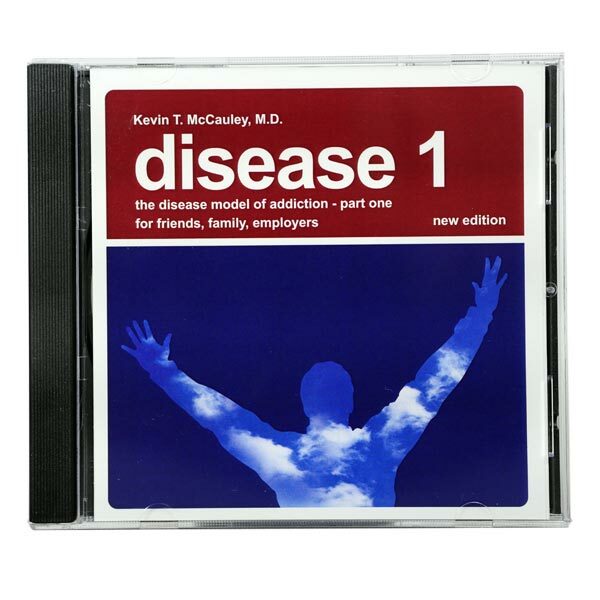 With its colorful and eye-catching design, the “Periodic Table of the Intoxicants” is an excellent educational tool for anyone interested in the disease of addiction such as professionals, students and families. Poster printed on laminated banner material and laminated with ORAguard glossy laminate at 600 DPI.